The Auvil Fruit Co. has been growing more than apples and cherries since 1928. Over that time, the Orondo, Wash.-based company has cultivated a strong reputation as one of the best growers of premium apples and cherries under the Gee Whiz label. According to Plant Operations Manager Walt Hough, the company strives to provide its retailer customers with fruit that is worth the price they pay for it and is worth the investment Auvil Fruit Co. makes into its orchard operations. Along the way, the company continues to work hard to live up to the forward-thinking example set by its founder and continuously improve its operations. The company was founded by Grady Auvil and his brothers, Robert and David, who purchased 22 acres of land in Orondo to establish their own fruit orchard. Although the land was full of rocks and sagebrush at first, the Auvil brothers cleared it and soon had a thriving orchard of apples and apricots. By 1977, the orchard had grown to more than 250 acres, on which the company grew apples, cherries, nectarines, pears and peaches. 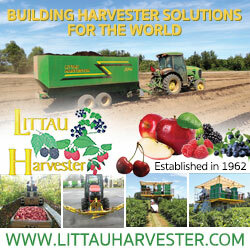 Today, Auvil Fruit Co. owns more than 1,500 acres of farmland devoted to growing apples and cherries. Auvil Fruit Co. occupies a very selective niche in the fruit market, dealing mostly with high-end retailers who cater to a more upscale, discerning class of consumers. “We really don’t sell to any big-box stores,” Hough explains. That’s because of the high-end nature of the company’s products and the consistency Auvil Fruit Co. promises for every box of its fruit. The company puts a lot of time and effort into ensuring its apples and cherries are ready to eat and of the exact same quality every time they are picked. Creating that kind of consistency is not easy nor is it cheap, and Auvil Fruit Co. runs one of the most expensive orchard operations in the Pacific Northwest. However, Hough says retailers and consumers will know where that extra expense goes when they see and taste a Gee Whiz apple or cherry. “We truly believe that we will show that the extra money has value,” Hough says. The quality of Auvil Fruit Co.’s products starts literally from the ground up, at the orchards the company maintains at its two locations in central Washington along the Columbia River. Hough says not only is the natural soil in this area highly beneficial for the orchards, but Auvil Fruit Co. also employs innovative growing techniques that provide its trees with the ideal combination of earth, water and sun for optimal production. For example, the majority of the company’s apple trees are grown on a trellis system, which makes it possible to plant more trees closer together to maximize space while also giving each tree a greater level of exposure to sunlight. In addition, the company performs regular tests on soil, leaves and fruit to ensure each tree is receiving the proper amount of nutrients, and GPS technology allows the company to identify with pinpoint accuracy where trees are getting the best nutrients and where they need extra attention. Hough says the extra attention Auvil Fruit Co. pays to its orchards includes using shade cloths in areas where trees get too much sunlight and reflective cloths on the ground in areas where they don’t receive enough. A heating system installed at the root level also maximizes tree growth by keeping their roots warmer in the spring. The company also thins blossoms by hand to reduce the amount of chemical treatment its fruit are subjected to. “Those are very expensive things to do,” Hough points out. To promote sustainability in its orchards, Auvil Fruit Co. utilizes a number of techniques aimed at using natural resources more responsibly and reducing the use of artificial chemicals. For example, the company’s use of integrated pest management (IPM) utilizes a hybrid approach to pest control. Although insecticides are used to some extent, their use is mitigated through the introduction of predator insects to control the populations of insects that could damage fruit. Irrigation at the company’s orchards is controlled by state-of-the-art automated systems. These irrigation systems use the data collected by the company’s GPS technology to control the water dispersal with precision so that no tree receives too much or not enough water. Water also plays an important role in preparing the fruit for packaging, and Auvil Fruit Co. uses a unique system that creates water with high and low pH levels. 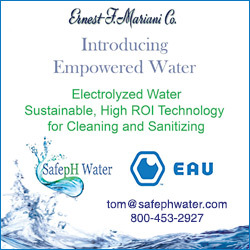 The low-pH water is used to kill bacteria during storage, while the high-pH water is used to wash fruit during the packing process and for cleaning equipment. The company says this process means fewer chemicals are used when cleaning its fruit and equipment. From the very beginning of his career as a grower, Auvil was breaking new ground. In the 1940s, he introduced the Red Haven variety of peach to the region, and also introduced the use of grass cover and poplar trees as windbreaks in orchards. By the 1950s, Auvil had been elected president of the Washington State Horticulture Association and also was named Grower of the Year by that organization. Among the many accolades Auvil earned in his lifetime was the Washington State Legislature’s Washington State Medal of Merit from Governor Gary Locke, which is the state’s highest award for individuals whose actions have benefited others. “Grady Auvil’s numerous achievements and contributions have left an enormous footprint in the fruit industry, and his influence on agriculture can still be felt today,” the company says. Hough says Auvil Fruit Co. continues to look for new ways to improve its operations so it can deliver the highest-quality fruit to its customers. In particular, he says a number of new developments in the company’s refrigeration and storage facilities already are delivering marked improvements. Hough says these innovations are reducing the amount of weight fruit loses through dehydration caused by refrigeration. 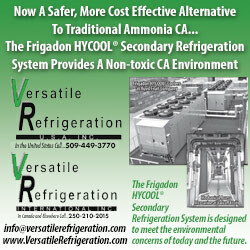 Protecting the flavor of fruit means reducing the amount of gas exchanges that occur in a refrigerated environment. To that end, Auvil Fruit Co. has a proprietary refrigerant that reduces the levels of ammonia in the air to prevent the gas from getting through the skin of the fruit and affecting its flavor. The company also pumps ozone into rooms where fruit is being stored to kill bacteria and reduce pathogens that can harm apples. Hough says the company is retrofitting its entire packaging operation so that it will feature nothing but the latest equipment by fall 2017. That includes specialized equipment that will sort fruit to eliminate any substandard produce, all the way down to detecting and removing fruit with low sugar content, for example. Auvil Fruit Co. occupies a rather exclusive niche in the fruit market, and Hough says the company is working hard to ensure it remains there. With exclusive varieties such as its Aurora Yellow apple, Auvil Fruit Co. does much to distinguish itself from its competitors. As long as the company continues to concentrate on investment and operational excellence, it expects continued success. “Those are the types of things you need to stay on top of,” Hough says.